If you’re on the hunt for the right used Jeep Wrangler for sale, you’ll want to visit Frank Kent CDJR. As your local Jeep dealer, we are dedicated to offering an extensive selection of high-quality Wranglers at an affordable price. Whether you have an exact model in mind or are interested in browsing numerous options, Frank Kent CDJR is the ideal place to head for your next used Jeep Wrangler. At Frank Kent CDJR, we have an extensive inventory of used Jeep Wranglers for sale. Our used Jeep models can be found in as recent models years as 2018, so, if you’re looking to save money on a Wrangler without sacrificing onboard tech and modern styling, Frank Kent CDJR is the right place for you. Throughout our inventory of used Jeep Wranglers you’ll find numerous models, trim levels, and equipped packages and accessories, making it easy to find the Wrangler that suits your needs and budget. While our inventory changes daily, we typically carry the popular 4-door Unlimited models as well as a variety of other popular Wrangler models. To inquire about our current inventory, simply give us a call, stop by out lot, our visit our regularly updated website. Not sure which Jeep Wrangler you’re looking for? No worries! Some of the more popular Wranglers include the 2014, 2016 and 2018 model years but we carry so much more. In addition, the 2012 and 2011 Jeep Wranglers are also popular choices for drivers looking for the limited edition models offered during those years. 4-door Jeep Wranglers, with a longer wheelbase, are also exceptionally popular and can be found under the trim level, Unlimited. The Jeep Wrangler is currently in its fourth generation of production, and many of the most popular used models are found within the third and fourth generation. To find vehicles within these generations look for model years between 2006 and 2018, or models labeled as JK and JL. In general, the most technological upgrades occurred in the middle to end of the 3rd generation and onward. So, if you’re looking for a used Jeep Wrangler for sale with plenty of entertainment, safety, and convenience technology, look for some of the more recent used model years. To learn more about which Jeep Wrangler will best suit your needs, give Frank Kent CDJR a call. We’ll gladly listen to your needs, budget, and lifestyle, and help match you to the right Wrangler on our lot. 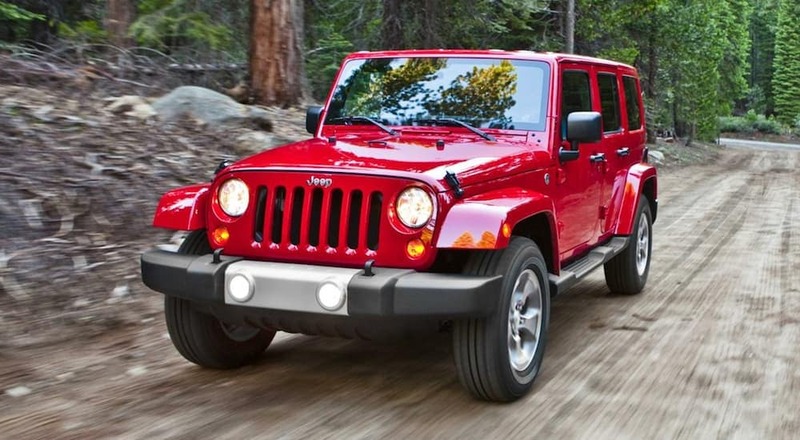 Wondering if a used Jeep Wrangler is the right choice for you? Jeep Wranglers have a specific set of qualities that set them apart from other vehicles on the market, they are designed with adventure in mind and offer unrivaled off-road capabilities. Jeep Wranglers are incredibly popular for their open-air design, featuring removable doors and windows and convertible options. They offer plenty of capability, versatility, power, and yet newer models still offer a modern feel with plenty of onboard technology, including large touchscreen displays, Apple CarPlay and Android Auto, navigation, and more. Throughout four generations, the Jeep Wrangler has maintained its retro styling, while the interior has been upgraded for a more sleek design and greater comfort and convenience for the everyday driver. If you’re looking for a vehicle with a flair for adventure that will stand out on the road, a used Jeep Wrangler could be the right choice for you. When you’re looking for a used Jeep Wrangler for sale, or any other used vehicle on our lot, you can enjoy what we call, the Frank Kent Pre-Owned Promise. This is just another way that we strive to provide the best service to our valued customers, which includes haggle-free pricing, a CPO warranty, and obligation-free vehicle trade-ins. 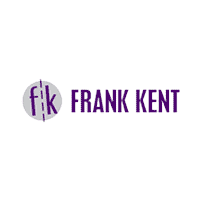 At Frank Kent CDJR, you can feel confident that our prices simply can’t be beat. We pride ourselves on offering the lowest prices possible to our new and returning customers. However, it is also important to us to ensure that your car-buying experience is as simple as possible. So, when you shop with Frank Kent, you can also enjoy our haggle-free pricing. You won’t have to negotiate with our sales staff to get the best price on your next used Jeep Wrangler. Instead, the lowest price we can offer will be clearly listed for your convenience. The price you see is the price you get. Drivers who purchase any certified pre-owned vehicle from Frank Kent CDJR can enjoy our complimentary CPO warranty. This is a 2-year/100,000 mile Limited Warranty that also includes roadside assistance and emergency travel reimbursement. This means that in the event that you find yourself with a dead battery, flat tire, or need to be towed, you’ll be fully covered. Meanwhile, the travel reimbursement covers up to two days of car rentals and will even help with additional travel expenses in the event that your breakdown occurs out of town. Whether or not you’re looking to purchase a vehicle from Frank Kent CDJR, we’ll help you determine the value of your trade-in and even purchase it from you. Drivers interested in trading in a vehicle can simply visit our lot, give us a call, or use our helpful website to determine the value of their vehicle. Then, we’ll buy it from you with no obligation to purchase a replacement vehicle. With Frank Kent CDJR, there’s no reason to worry about financing your next used vehicle. When it’s time to finance your vehicle, you’ll work directly with our on-site finance department to secure a loan that works with your desired budget. Our finance team is trained to secure financing for all types of credit backgrounds, so there’s no need for drivers with poor credit to worry about finalizing the purchase of your vehicle. Once you’ve chosen the perfect Jeep Wrangler, you’ll be off our lot as quickly and efficiently as possible. The Frank Kent service center is proud to handle the automotive needs of our customers and community. Whether you’re looking for routine maintenance or complex repairs, you’ll always have a home to return to for the care of your Jeep Wrangler. The technicians at our on-site service center are experts in Chrysler, Dodge, Jeep, and Ram models, and will use only the highest quality parts available to service your vehicle. To schedule a service, customers can easily visit our website and take advantage of our online scheduling tool. However, you can always feel free to schedule your appointment via phone call. Through our parts center, we can even assist you in selecting and ordering any desired parts and accessories, and help in the installation if needed. No matter what your automotive needs may be, Frank Kent CDJR will be here to serve you and your vehicle well after your initial purchase. Shop for Your Next Used Jeep Wrangler with Frank Kent CDJR! When it’s time to search for a used Jeep Wrangler for sale, there’s no better place to shop than Frank Kent CDJR. From our extensive Wrangler inventory to our haggle-free pricing and comprehensive CPO warranties, Frank Kent is dedicated to offering premium service to our valued customers. To get started with the purchase of your next Wrangler, visit our website, give us a call, or stop by our lot!